Eclectic British scholar SABINE BARING-GOULD (1834-1924) inspired My Fair Lady, wrote the hymn "Onward Christian Soldiers," and published more than five hundred literary works. Among his foremost folkloric studies is 1865's The Book of Werewolves, the first serious academic study of the shape-shifters of mythological lore. 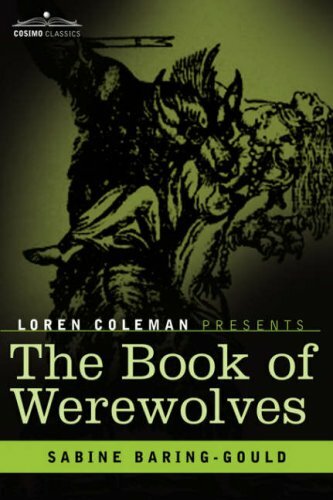 "This work is the most frequently cited early study of lycanthropy and is regarded by most scholars as the foundation work in the field," says cryptozoologist Loren Coleman in his new introduction. "The Book of Werewolves was so visionary that it foresaw that future discussions within werewolf studies would necessarily travel down many side paths. Indeed, midway through The Book of Werewolves, Baring-Gould treks into the shadowy world of crimes vaguely connected to werewolves, including serial murders, grave desecration, and cannibalism." This new edition, complete with the original illustrations, is part of Cosimo's Loren Coleman Presents series. LOREN COLEMAN is author of numerous books of cryptozoology, including Bigfoot! : The True Story of Apes in America and Mothman and Other Curious Encounters.